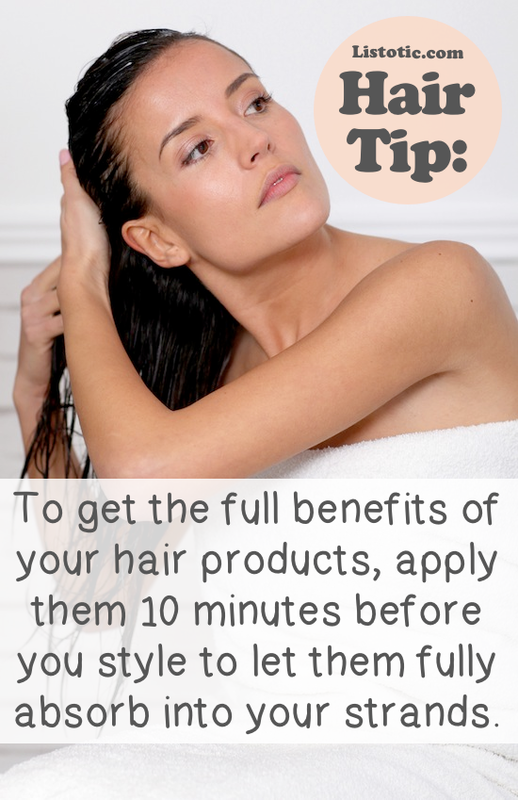 You don’t always necessarily want to spray your entire head of hair to tame a couple of fly-aways! 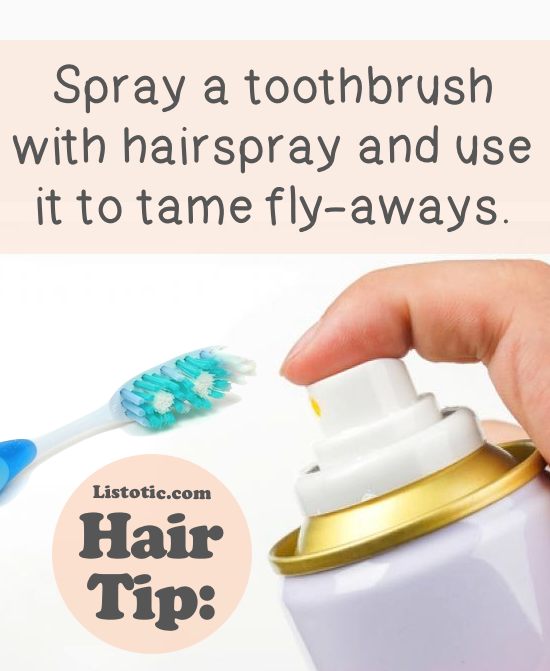 To combat those little hairs that won’t stay put, keep an old toothbrush handy and spray it with hairspray to easily target your fly-aways without stiffening your entire style. Did you know there are a number of wrapping techniques to achieve a different type of curl? Yeah, me neither! I always just do it the same way. 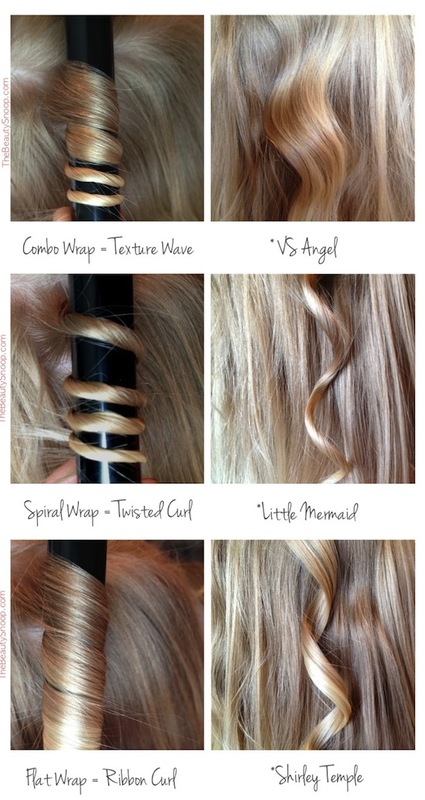 You’ll need a curling wand for best results, but this visual certainly helps you achieve your desired results. 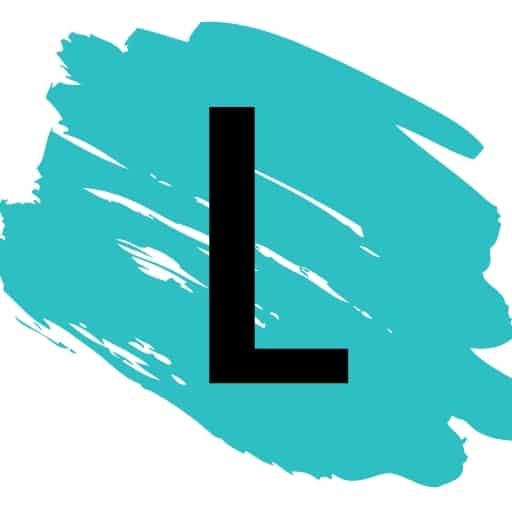 Go check out The Beauty Snoop for more information! The average woman spends about $300 a year or more on styling products, but most of us are not reaping the full benefits! Just like you let your conditioner sit in your hair a little longer to give it time to work its magic, the same is true for your styling products. After combing your hair out of the shower, apply your products right away and let them absorb into your strands for about 10 minutes before you break out your hair dryer and other various styling tools.